Crye-Leike Real Estate Services recently recognized Rachael Henderson as a Multi-Million Dollar Club Lifetime Award recipient. To qualify for this award, Realtors must achieve multi-million dollar sales production for five years. 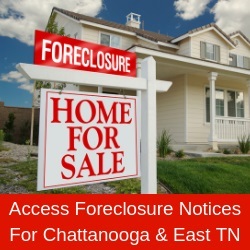 A resident of Walker, Georgia, Henderson has specialized in residential real estate sales for over ten years, working out of Crye-Leike’s Downtown Chattanooga office. As a licensed broker in Tennessee, Georgia, and Alabama, Henderson specializes in residential, investment properties and relocation services. She serves the real estate needs of buyers and sellers in Hamilton, Walker and Catoosa counties. Henderson is an Accredited Buyers Representative, Certified Residential Specialist and Accredited Home Staging Specialist. She is a member of the National Association of Realtors, Tennessee Association of Realtors, Georgia Association of Realtors and the Greater Chattanooga Association of Realtors. Contact Henderson at (423) 756-0771 or Rachael.Henderson@crye-leike.com.